Add turbines to this electrical pollution mix! 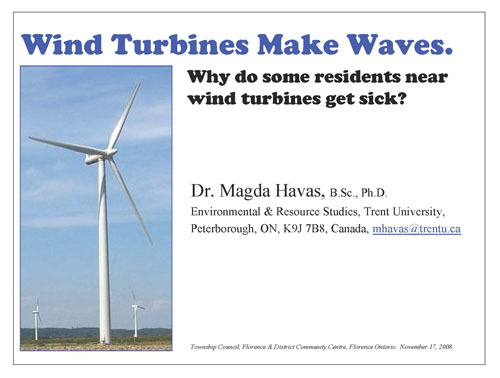 See what renowned professor Magda Haavas has to say about health and electromagnetic fields and their effect on health. No wonder homes near substations, transformer stations, transmission lines and turbines are so devalued! Click image below to view ….